TOKYO, Nov 29 2013 (IPS) - For years, it was the power chamber at the headquarters of the World Trade Organisation (WTO) in Geneva – the Director General’s Conference Room, more popularly known as the Green Room, where a handful of delegates would gather for important discussions and meetings. The traditional power quad – the U.S., EU, Japan and Canada – would gather in the Green Room to “decide on global trade deals,” according to Masahiro Kawai, the head of the Tokyo-based Asian Development Bank Institute (ADBI), a think tank. That, however, was in the past. “They sat in the Green Room and came up with agreements, but not any more,” Kawai said. The erosion of power within the Green Room discussions, and more specifically that held by rich nations like the U.S. or Japan, is primarily linked to the rise of emerging nations such as India and China, and of newer, leaner and meaner trade groups like BRICS (Brazil, Russia, India, China and South Africa), as well as the change in traditional global supply chains. A quarter of a century ago the share of global GDP held by emerging and developing economies was below 20 percent, according to World Bank and International Monetary Fund statistics. As of 2012, they had almost caught up with the G7 powerful industrialised nations (Canada, France, Germany, Italy, Japan, UK and U.S.). The G7 share was around 48 percent while the emerging nations’ share was just below 40 percent. They have already overtaken the G7 as the largest trading bloc in the world, accounting for just over 40 percent of all global trade. The G7 share of global trade has fallen from a peak of above 50 percent in the first half of the 1990s to around 35 percent. “No wonder the voices of the emerging and developing nations have risen at the WTO,” Kawai said. Another reason for the erosion of power held by the G7 is the change in global supply chains. Whereas decades back global trade would be dominated by end-products, now it is predominantly a market for intermediary products. “Today, nearly 60 percent of the world merchandise trade is trade in intermediary products,” Kawai said. When he researched the supply chain of the iPhone, ADBI Director of Capacity Building and Training Yuquing Xing came up with a starling statistic. Of a production cost of 178.96 dollars (2010 values), China’s manufacturing cost was a mere 6.50 dollars. The remaining costs came from over a dozen companies in five countries. The most expensive component, according to Xing’s research, was the flash memory, at 24 dollars, which came from Toshiba Co in Japan. This new trading pattern allows China to export over 11 million iPhones a year to the U.S., the country where it was developed and where the company that markets the product is located, Xing said. But this reinvention of global trade negotiations does not bode all that well for poorer nations and lower-middle-income nations, according to ADBI experts and others. Why? Because the emerging nations and G7 members are now eagerly negotiating and entering into regional and bilateral free trade agreements, mostly with equally powerful trading partners. According to ADBI, there are 379 such trade agreements in force globally, with more being negotiated. There are ongoing discussions for the Trans-Pacific Partnership, which would bring together 10 countries on either side of the Pacific: Australia, Brunei, Canada, Chile, Japan, Malaysia, Mexico, New Zealand, Peru, Singapore, the U.S., and Vietnam. Equally closely watched are the discussions on the jumbo Association of Southeast Asian Nations (ASEAN) Plus Three partnership that would bring together the ASEAN nations and Japan, South Korea and China. “The non-tariff trading regimes are the current weapons of choice,” said Rodolfo Certeza Severino, the former secretary general of ASEAN between 1998 and 2002 and currently the head of the ASEAN Studies Centre at the Institute of Southeast Asian Studies in Singapore. What these jumbo and super powerful trading agreements do is leave middle-income and poorer countries in an unenviable position of being left on the sidelines, unable to get in. For example, none of the eight countries in the South Asian Association for Regional Cooperation (SAARC), a political association, feature among India’s fifteen largest trading partners. 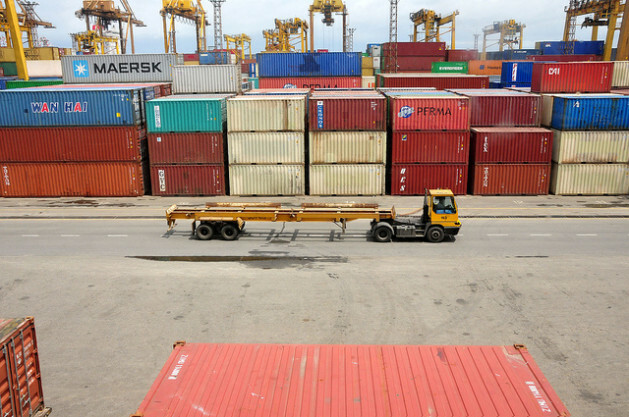 India’s largest South Asian trading partner is Sri Lanka, with which it did four billion dollars worth of trade last year. But here too the trade has been lopsided, with Indian exports amounting to over 3.4 billion dollars in 2012. “These free trade agreements are setting the new realities,” Kawai said. These new realities dictate that while the richer nations negotiate, argue and cajole for more preferential trade, the world’s poor are being left further adrift. A recent report by the U.N. Conference on Trade and Development said that the 49 least developed nations recorded job growth of just over two percent in the last few decades, barely above population growth levels. ADBI’s Kawai however sees a role for the WTO to break the trading cycle that favours the rich. The organisation should act as a catalyst for trade negotiations and as an effective arbitrator of disputes, he said. More multilateral and regional trade agreements should be promoted, with the WTO playing a critical central role, he added. “A revamped WTO process could achieve global trade and investment liberalisation through consolidation of regional agreements, creation of cross-regional agreements, and harmonisation of rules across agreements,” he said. Former ASEAN Secretary General Severino agreed. “In fact most of the provisions in these [free trade] agreements have to be WTO-consistent,” he said. But with the WTO hobbled, still unable to conclude the Doha round of negotiations that started in 2001, the chances of it playing a decisive role in trade negotiations remain low, at least in the short term, both experts agreed.